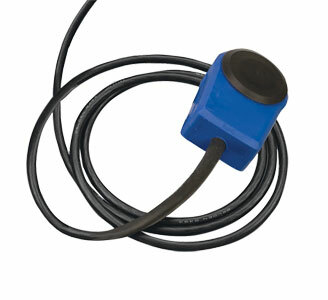 The OMDC-PU-E pick-up sensor is an economical and reliable way to monitor motor speed. Its unique design provides ease of installation in otherwise difficult to reach areas. The OMDC-PU-E pick-up sensor operates at a 5 to 24 volt level producing a sharp square wave output, which may be fed into tachometer, closed-loop control, counter, or any other digital device. The OMDC-PU-E pick-up series also includes a quadrature model to monitor both motor speed and direction by providing two square wave output signals 81° out-of-phase. View Specs for easy mounting instructions. 참고: Comes complete with 1.8 m (6') output cable, rubber jacketed, 3-wire 18 Awg conductors, and installation instructions. Encoder Capable DC Motors - 1/4 to 2 HP Permanent Magnet DC Motors with provisions for encoder mounting.